New Delhi: The Sports Ministry has added 107 athletes to the list of those who will get funds for training under the Target Olympic Podium Scheme (TOPS) for next year's Commonwealth and Asian Games. Out of 107, only four were picked till the 2020 Olympic Games while the remaining athletes were only chosen for the Commonwealth and Asian Games. With the addition of 107 sportspersons to the list, the total number has gone up to 152. The 107 new athletes, which include 19 from para-sports, were added after a meeting of the committee of TOP Scheme held on 1 September. Prominent among these 107 are men's Boxing World Championships bronze medallist Gaurav Bidhuri, ace pistol shooter Jitu Rai and tennis players Sania Mirza and Rohan Bopanna. Khel Ratna awardee Devendra Jhajharia and three other Rio Paralympics medal winners — Deepa Malik, Mariyappan Thangavelu and Varun Singh Bhati — were named among the 19 para-athletes who were included to prepare for the Asian Para Games next year. The number of athletes in the TOPS list was reduced to 45 in July but with the addition of these 107, the total number has risen beyond 150. 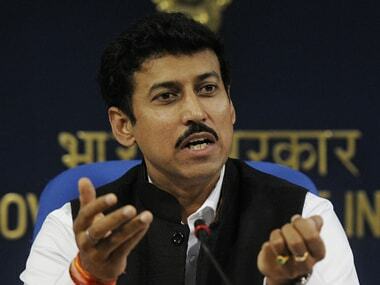 Sports Minister Rajyavardhan Singh Rathore had recently announced that all the sportspersons named in the TOPS list will get a monthly allowance of Rs 50,000. A committee headed by Abhinav Bindra recommends the sports ministry who could be included in the TOP Scheme list. Interestingly, promising young shuttler Lakshya Sen, track and field athletes Lilli Das (800m & 1500m), Sanjivani Jadhav (5000m & 10,000m) and Tejaswin Shanker (high jump) were the only four to be specifically included in the TOP Scheme for the 2020 Olympics. Jitu Rai and Onkar Singh were the marksmen added to take the total number of shooters in the TOP Scheme to 17. Seven tennis players were added including Bopanna and Sania, while veteran Leander Paes was left out. In badminton, the addition of Lakshya took the total number of shuttlers to 10. The likes of PV Sindhu, Saina Nehwal and K Srikanth were already there in the list. Eight wrestlers were added for the preparation of the Commonwealth and Asian Games to take the total number to 12. Vinesh Phogat, Sakshi Malik, Sandeep Tomar and Bajrang Punia were already there in the list. In boxing, besides Bidhuri, those added were S Sarjubala Devi, Sonia Lather, L Devendro Singh, Kavinder Bisht, Sumit Sangwan, Satish Kumar. With the addition of the seven boxers, the total number in the TOP Scheme list has risen to 13. In athletics, as many as 17 were added in view of their medal chances in the 2018 CWG and Asian Games. Among them were the trio of P U Chitra, Sudha Singh and Ajoy Kumar Saroj whose omission from the recent London World Championships team had resulted in a furore and court cases. The total number of track and field athletes in the TOP Scheme list has risen to 19. World junior record holder javelin thrower Neeraj Chopra and national record holder 20km race walker KT Irfan were already there in the list. Athletics (19): Neeraj Chopra, KT Irfan (both selected on 21 July), Ganpathy Krishnan, Manish Rawat, Ajay Kumar Saroj, Annu Rani, G Lakshmanan, Lalita Babar, Lilli Das, Nayana James, Om Prakash Karhana, Tejinder Pal Singh Toor, PU Chitra, Poornima Hembram, Sanjivani Jadhav, Sudha Singh, Swapna Barman, Tejaswin Shanker, V Neena (all added on 1 September). Boxing (13): Shiva Thapa, Vikas Krishnan, Manoj Kumar, Amit Kumar, Shyam Kumar Kakara, Sachin (all selected on 21 July), S Sarjubala Devi, Sonia Lather, L Devendro Singh, Kavinder Bisht, Gaurav Bidhuri, Sumit Sangwan, Satish Kumar (all added on 1 September). Weightlifting (13): Mirabai Chanu, Jeremy Lalrinnunga, S Satish Kumar (all selected on 21 July), Muthupandi Raja, Deepak Lather, Ragala Venkat Rahul, Vikas Thakur, Ajay Singh, Jimjamg Deru, Pardeep Singh, Khumukcham Sanjita Chanu, Matasa Santoshi, Punam Yadav (added on 1 September). Wrestling (12): Vinesh Phogat, Sakshi Malik, Sandeep Tomar, Bajrang Punia (all selected on 21 July), Parveen Rana, Satyawart Kadian, Sumit, Lalita, Sarita, Gyanendar Dahiya, Hardeep Singh, Harpreet Singh (all added on 1 September). Wushu (9): Uchit Sharma, Narendra Grewal, Arunpama Devi, Budha Chandra Singh, Santosh Kumar Singh, Sanatombi Devi, Yumnam Sanathoi Devi, Surya Bhanu Partap, Gyan Das (all added on 1 September). Archery (16): Atanu Das, Deepika Kumari (both selected on 21 July), Jayanta Talukdar, Sachin, Tarundeep Rai, Bombayla Devi, Laxmi Rani Manji, Monika Saren, Amanjeet, Abhishek Verma, C R Srither, Khusbhu Dhayal, Divya Dhayal, Jyoti Surekha, Trisha Deb, Lily Chanu (all added on 1 September). Para Sports (19): Amit Kumar Saroha, Deepa Malik, Devendra Jhajharia, Karamjyoti, Mariyappan Thangavelu, Ram Pal Chahar, Rinku Hooda, Sandeep Choudhary, Jayanti Behara, Rohit Kumar, Sharad Kumar, Sundar Singh Gurjar, Varun Singh Bhati, Virender Dhankar, Avani Lekhara, Pooja Agarwal, Rubina Francis, Farman Basha, Sachin Chaudhary (all added on 1 September). Cycling (5): Deborah Herold, Aleena Reji, Sanuraj P, Ranjit Singh, Sahil Kumar (all added on 1 September). Judo (4): Avtar Singh, Kalpana Devi, Vijay Kumar Yadav, Tulika Maan (all added on 1 September). Gymnastics (5): Dipa Karmakar (already selected on July 21), Rakesh Kumar, Ashish Kumar, Pranati Nayak, Aruna Buddha Reddy. 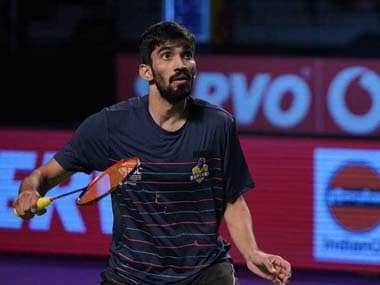 Badminton (10): K Srikanth, B Sai Praneet , HS Prannoy, Ajay Jayaram, PV Sindhu, Saina Nehwal, Sikki Reddy, Pranav C, Ashwani Ponnapa (all selected on July 21), Lakshya Sen (added on September 1). Tennis (7; all added on September 1): Yuki Bhambri, Ramkumar Ramanathan, Sumit Nagal, Rohan Bopanna, Sania Mirza, Prarthana Thombare, Karman Kaur Thandi. Shooting (17): Zoravar Singh, Heena Sidhu, Mairaj Ahmed Khan, Sheeraz Sheikh, Angad Veer Singh Bajwa, Pooja Ghatkar, Apurvi Chandela, Meghana Sajjanar, Deepak Kumar, Ravi Kumar, Gagan Narang, Kynan Chenai, Ankur Mittal, Shapath Bhardwaj, Sangram Dahiya (all selected on 21 July), Jitu Rai, Onkar Singh (added on 1 September). Squash (3) Dipika Pallikal, Joshna Chinappa, Saurav Ghosal (selected on 21 July).